In the world there are two famous golden belts for planting corn, respectively locating in America and China. 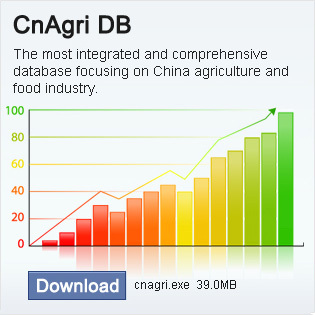 China is the second largest producer of corn and also the second largest consumer of corn. In the past, corn was mainly consumed as food and feed in China, but now the corn processing industry has developed rapidly while the feed consumption of corn also keeps stable increase. Among the three major kinds of grain, corn is the most suitable type to be used as industrial raw material, and is also the mostly processed grain. The characteristics of corn processing industry lie in the following three aspects: large space for processing, long industry chain and abundance of products which include eight series, namely, starch, starch sugar, denatured starch, alcohol, enzymic preparations, spice, medicine, and chemical products. But starch and alcohol are the two major products while all the others are produced from further processing of starch and alcohol or by-products of starch and alcohol production. These deep processing products or by-products have comparatively high values, i.e. they have high added value which may bring high profit. To sum up, industrial consumption of corn is a sunrise industry in the corn industry and boasts the fastest growth among the total consumption corn. Corn processing is widely applied in food industry, medical industry and chemical industry. Being in the stage of rapid growth, corn processing industry has a promising prospect. With the growth of China’s corn processing industry and the expansion of corn industry chain, the market scale of corn processing industry will see great increase and its potential will be enormous.